Everything has ground to a halt today, I've got some sort of muscular injury to my neck and shoulder area. 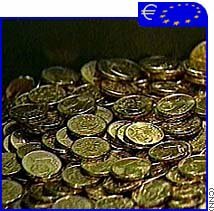 I blame the several hours I spent on Friday night and Saturday morning counting several hundred euros in teeny tiny coins, not to mention having to heft the lot around. Still, there is something mesmerisingly soothing about counting coins. A lot of coins.